It's Halloween morning in Rocky Mountain National Park. 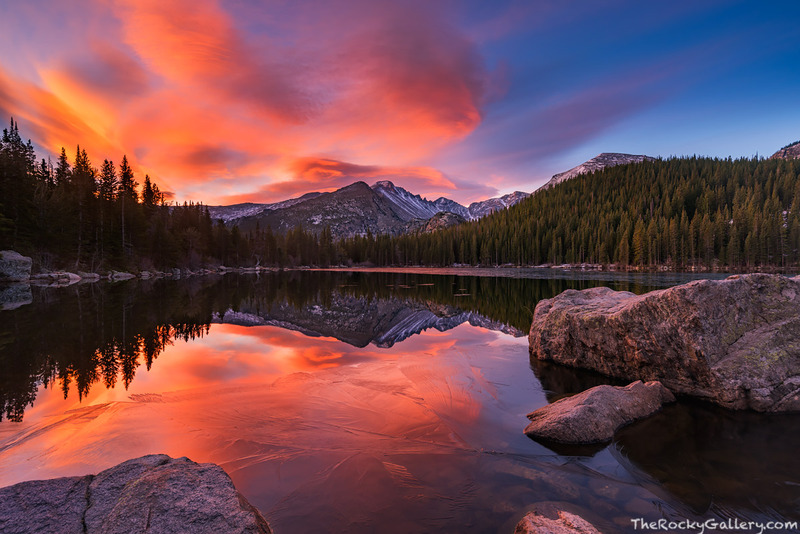 The colors were befitting the day as the sky over Bear Lake and Longs Peak turn a fire red. Bear Lake has not yet frozen over on this last day of October but the ice is starting to creep from the edges. Soon heavy snows will fall and Bear Lake will be covered with ice and snow for the season. Photo © copyright by Thomas Mangan.